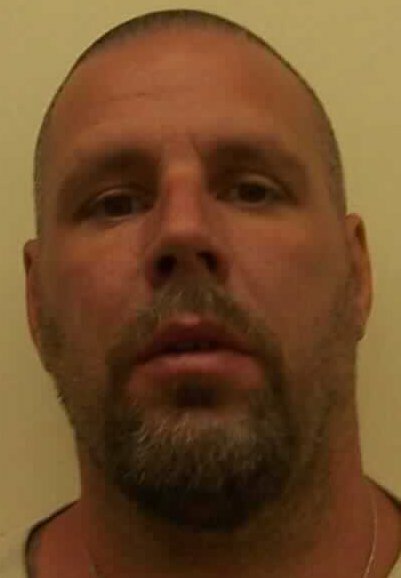 A 15-time felon considered by law enforcement to be one of the area’s most active criminals is accused of planning an escape at Geiger Corrections Center, and jail staff are investigating why he was placed at the minimum-security facility. Jeffery Edward Krell, 44, was caught with marijuana at the Spokane County Jail last month, but he had recently been reclassified as a lower security inmate when Geiger staff discovered 15 screws missing from a broken window in his unit at Geiger in Airway Heights, which serves as an extension of the jail for minimum security inmates, said Sgt. Dave Reagan, spokesman for the Spokane County Sheriff’s Office. Reagan described Geiger as “a retired military barracks that was never intended to be a jail” but has been modified over the years to hold overflow from the jail and to house programs like work release. Krell and five other inmates were moved to the Spokane County Jail. Reagan said the investigation is ongoing, but deputies believe the five were either involved in the plot or knew of the lot and didn’t tell authorities. Reagan did not identify the other inmates. Geiger staff say Krell’s window had its upper glass broken out, and a deputy found a pair of pliers hidden inside a mop bucket in Krell’s unit. Geiger staff were joined by additional deputies from the Spokane County Jail including the Crisis Response Team, and searched eighty inmates. Krell was isolated by 9:30 p.m., about 2 1/2 hours after the probe began. Krell is a repeat offender who’s considered one of the most active local criminals, Reagan said. He had been arrested Saturday on felony gun charges and has felony convictions beginning in 1988 for burglary, possession of stolen property, theft, and robbery vehicle theft. Before his arrest on Saturday, Krell had been out of jail on $30,000 bond after being picked up in March and April for possessing firearms, which he’s prohibited to do as a convicted felon. Deputies say they saw him pick up a container with marijuana in a cell at the Spokane County Jail in August, according to a probable cause affidavit, but prosecutors have not yet filed charges and Krell was allowed to leave jail last month while awaiting trial on gun charges. Reagan said he expects Krell likely will face charges for the escape plot and said he’ll continue to be housed at the jail. Published: Sept. 21, 2011, 3:05 p.m. Updated: Sept. 21, 2011, 6:06 p.m.